As many of you will no doubt already be aware of, there is a new Divine Comedy album in production as we speak. Tim and I flew out to Dublin about a month ago to lay down the bass and drum tracks with Neil and our engineer Fergal. Neil has written some fantastic new songs and we had a great time working on the rhythm tracks. Obviously I can’t say too much at this stage as it’s not finished. I’m expecting an Autumn release. Judging by the work done so far it’s going to be a fantastic record and definitely one to look out for later this year. I wound up playing my Warwick FNA Jazzman V for virtually the whole album this time. I might do a mini-post on this soon for the guitar geeks and gear-heads among you as it gives me no end of pleasure when I’m finally allowed to play all my favourite instruments on the record whist I’m often banned from using them live because of the way they look! I’m hoping we’ll be out touring again sometime later this year… fingers crossed! 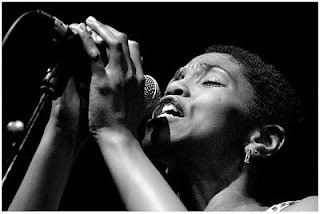 Two weeks ago I had the great honour of being asked to play a last minute show with the wonderful Carleen Anderson at the new Kommedia in Bath. I’ve been a fan of Carleen since her days with The Young Disciples. It’s always so exciting when you get to play one of your favourite tunes with the artist that wrote it and made it famous (playing Brick with Ben Folds is still one of the highlights of my career). Playing Apparently Nothin’ and Mama Said with Carleen was a real joy. There was a lot of tunes to learn in a very short space of time (ie; a couple of days to learn the whole set) which was a bit of a scramble but it was so worth the effort. I really do love playing that kind of music and very rarely get the chance. Carleen and her band really made me feel welcome and were incredibly supportive. Big thanks to Mark Edwards (yes, The Invisible Birdman!) for getting me in. Really hoping we get to play some more shows together sometime soon. More recently, I’ve been over in Box recording a live album with Clare Teal. We spent a couple of days rehearsing some new tunes and arrangements for the session. Led by our new musical director Grant Windsor, the recording also featured Clare’s regular touring band of Chris Dagley on drums with Colin and AD on backing vocals. Our carefully laid plans very nearly came unstuck on Friday morning when we all woke up to some incredibly heavy snowfall from the previous night. It took all morning for Clare and Grant to get over to Box from Bath because of the snow and we also had a very long wait with the piano tuner coming over from Bristol later on. Luckily things came together just as the audience started to arrive, although we missed a few key audience members due to the weather. The show went really well and the recording sounds great. We’re hoping the live album will be ready for Clare’s tour which starts in March with four nights at Ronnie Scotts. You can see the full list of shows on my MySpace page. I’m going to be out touring with both Clare and Lea Delaria through March and April. This does unfortunately mean that I won’t be out with Duke Special for his UK dates at the end of April, but I’m hoping to play some more dates with him later on in the year. I went to see Pete and Chip play at the Proud Gallery in Camden a few weeks ago and had such a great time. It never ceases to amaze me how two musicians can create such a massive and varied sound. I was blown away by the show; truly inspirational. Pete will be out touring with a four-piece band the last week in April and I seriously recommend you get yourselves down to at least one of his shows. This entry was posted on Monday, February 9th, 2009 at 3:11 pmand is filed under . You can follow any responses to this entry through the RSS 2.0 feed. You can leave a response, or trackback from your own site. Ahh the days of Acid Jazz… grooving at Dingwalls, TC2 and The Blue Note, Hoxton Square… Old Mods turning out in new threads… bass heavy tunes and soulful vocals… getting annoyed with people who thought Acid Jazz = Jamiroqui then introducing them to the Young Disciples, Mother Earth and Galliano… weaving through East London traffic two up on the Vespa… great music, great days!